Stone Mountain Scenic Railroad former C & O GP7 5896, built in 1953, handles the daily train around Stone Mountain. The railroad was orignally built as an industrial spur to serve quarries at the foot of Stone Mountain, MP 11.0.. It had a connection with the Georgia Railroad, now CSX, at Stone Mountain Village. That connection is now servered. 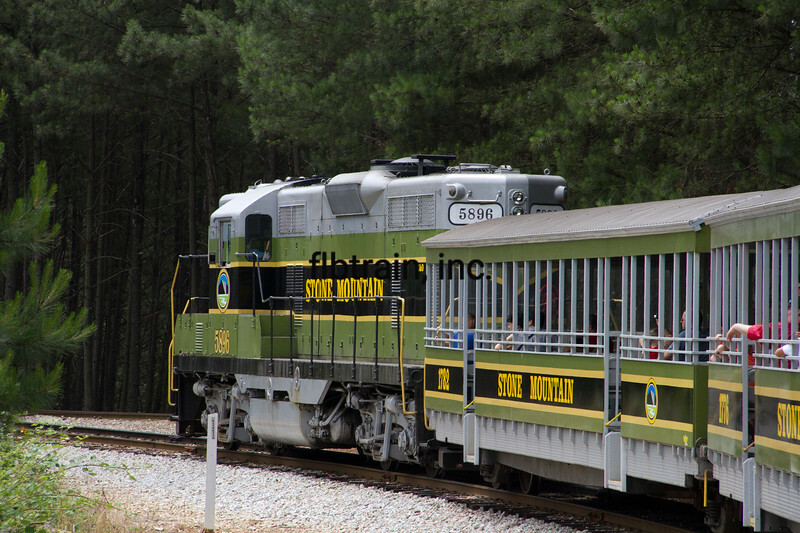 The railroad runs 3.88 miles around Stone Mountain. Stone Mountain, GA, 6/1/2013. Stone Mountain Scenic RRStone MountainGA62013.